“March Madness” is a nickname referring to the end of the basketball seasons. The American universities and high schools complete their seasons in the month of March. 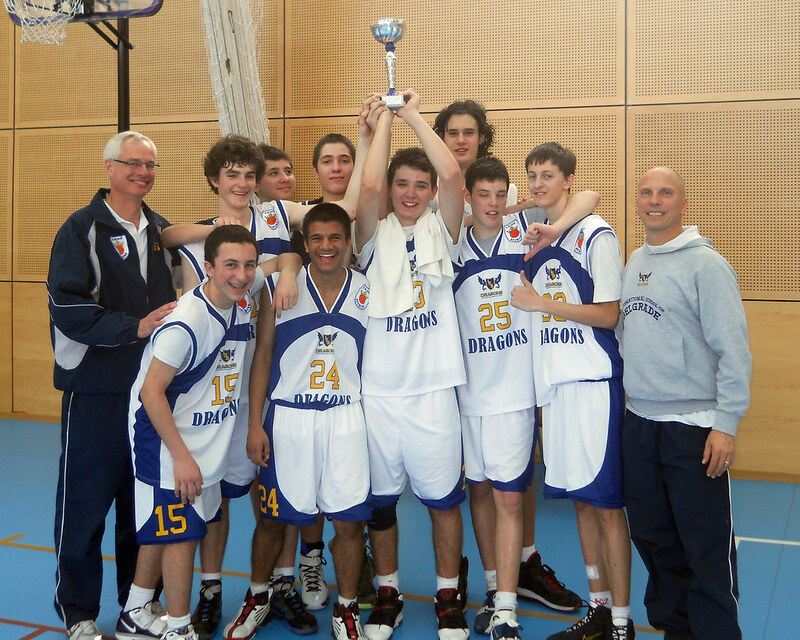 I am a coach of the high school boys’ basketball team at the International School of Belgrade. March Madness started a bit earlier for us as we won the basketball tourney this weekend. It was hosted by the Anglo American School of Sofia, Bulgaria. We played against four private schools in Sofia over two days of competition. Yesterday afternoon we defeated the Sofia Christian Academy in the finals, by a score of 53-49. It was a great weekend of basketball and besides having fun, we improved as a team. We are preparing for our Central and Eastern European Schools Association (CEESA) basketball championship in two weeks in Riga, Latvia. The Dragons are now 9 wins and 5 losses for the season. We have 2 more games and then we are off to Latvia on March 9th. I also made is a father-son weekend by taking Oliver on the trip. The little guy was a trooper and was patient during all of the games. We went to Burger King three times and swam in the hotel pool. He would sit on the bench next to me and draw pictures. I would then have to run him out to the school’s playground between games. He was a fan favorite there and everyone knew his name. He is a charismatic little fellow with a ton of energy! It was nice to be with him alone and not with his brother and sister. 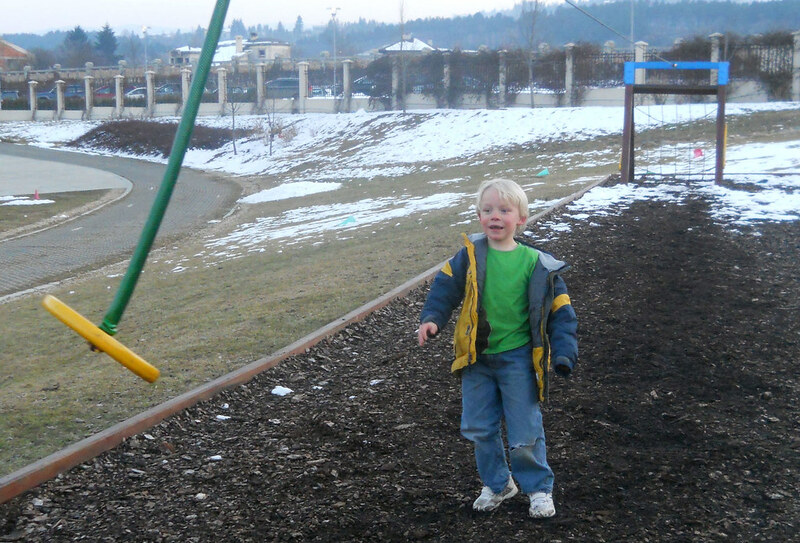 Oliver kept wanted to get food or toys to take back to Belgrade for his big brother Owen.